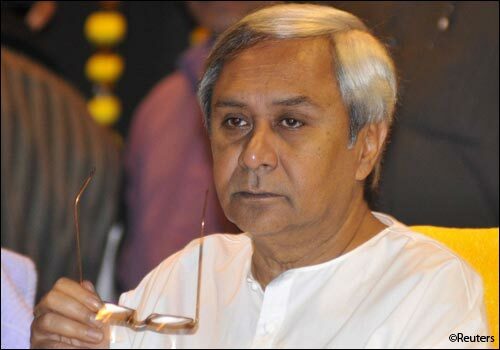 Development Horizons by Lawrence Haddad: What would you have asked CM Patnaik? One of the fantastic collaborators I work with, Biraj Swain, is a citizen of Odisha. She was due to be at IDS on May 28th when CM Patnaik (pictured) was originally scheduled to give a talk in Brighton (see previous blog). I invited her to do a guest blog about her reflections on the CM's performance to date and what she would have liked to talk to him about. This is what she wrote. “So Naveen Patnaik, the Chief Minister of Odisha, was going to be at IDS on 28th May giving a seminar and I had a full day of meetings scheduled there. What are the chances of running into one's own home state Chief Minister one whole continent and ocean away in Sussex, with probably a chance for a closer tete a tete? Alas, Mr Patnaik did not come and perhaps all the potential awkward questions and adverse publicity at home in the build-up got to him as did the unrest in his own government while he was absent. Missed chance? Perhaps. If I had met him I would have congratulated him for universalising the Public Distribution System in the poorest districts of Koraput Bolangir and Kalahandi. It came with electoral returns of course but then aren't welfare states and votes related in a democracy? He also presents an acceptable secular face for the third front against Congress and the BJP. That the Left leaders bee-lined to him in 2009 was a proud moment for many Oriyas like me who are used to having our leaders on the fringes of national politics. Coalition mantra? So be it. Having said that, two major mining leases in Odisha (Vedanta and POSCO) have been turned down by a combination of people’s movements and judicial scrutiny of the rigor of the due diligence process. 1. What happened to the much feted Right to Information at the ground zero of base metal in Keonjhar? Transparency quo vadis? 2. For that matter, what about the Gram Sabha consent to land acquisition or the principle of Free Prior Informed Consent? 3. The last mile delivery of progressive social protection and welfare programmes has been a challenge all over India, but more so in Odisha (NREGA has had barely 45% uptake). 4. How can a rice surplus district like Bolangir (per WFP Food Security Atlas) have year-on-year starvation deaths? 5. Disaster relief and preparedness--the primary agenda on which his government won elections post 1999 super-cyclone--was found wanting in 2011 floods where over 10 districts were submerged for over three months. But credit where it is due--the CM’s stewardship has brought in a fair amount of participation and governance and perhaps a leader of his stature (with an absolute majority) and acceptance (in Odisha and beyond) has a unique opportunity to fix many of the wrongs. Breaking the bureaucracy stronghold in the state, making the state machinery more accessible and bringing in more public spirited pluralism to his policy agenda will go a long way, as will finite allocation of public natural resources (a.k.a minerals). Biraj Swain is a citizen of Odisha and a keen student of governance and citizens’ engagement and has a body of work in Odisha too other than South Asia and East Africa. She works with Oxfam India but her views in this blog are personal.